With world-class film, television, and theater in Los Angeles, there’s no shortage of actors in town. And while living in LA means you might find celebrities at your local coffee shop, driving on the highway, or even on Tinder, one of the best places to catch TV actors in Los Angeles is on stage at one of the city’s many world-class theaters. Make sure you spot these TV actors performing in LA in this July, where they’ll be taking a break from life in front of the camera and showing off their skills on stage. 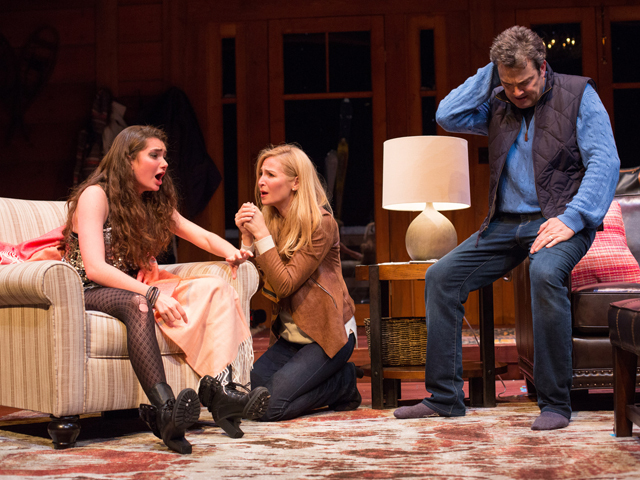 Geffen Playhouse’s Big Sky has some familiar faces for television fans. Emily Robinson, who appears in several flashback scenes as young Ali in Amazon’s Golden Globe-winning comedy Transparent, makes her LA theater debut in the World Premiere production. Jon Tenney – who Scandal fans will recognize as Vice President Andrew Nichols – also takes the stage in Geffen’s production. Film buffs will also recognize Jennifer Westfeldt (of Kissing Jessica Stein fame) in the cast of this star-studded play. Photo Credit: 2016 Craig Schwartz, Center Theatre Group. With recurring roles in Supernatural, How to Get Away with Murder, The Mentalist, and Southland under her belt, Emily Swallow has been around the primetime TV block more than a few times. 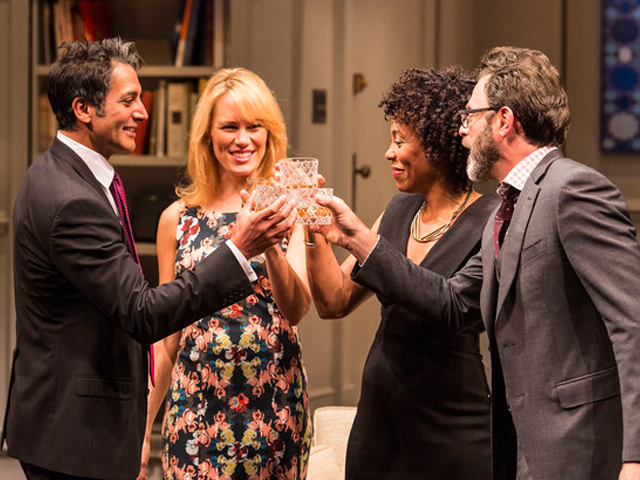 She now stars in Center Theatre Group’s acclaimed production of the Pulitzer Prize-winning play Disgraced. Photo Credit: Four Chords and a Gun. Arden Myrin’s television credits include stints on Fresh Off the Boat, MADtv, Key and Peele, Inside Amy Schumer, and Orange is the New Black, but she’s perhaps best recognized for more than 100 guest appearances on Chelsea Lately. 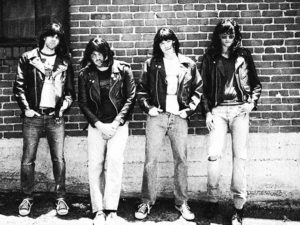 This month, you’ll find Myrin at the Bootleg Theater in Four Chords and a Gun, which tells the story of the Ramones recording their fifth album with legendary producer Phil Spector. While Betty Buckley is best known for her legendary stage career (the Theater Hall of Fame actress originated the role of Grizabella in the Broadway production of CATS, cementing ‘Memory’ as one of the most famous musical theater songs of all time), the Tony Award-winning actress has a prestigious screen career to complement her stage fame. 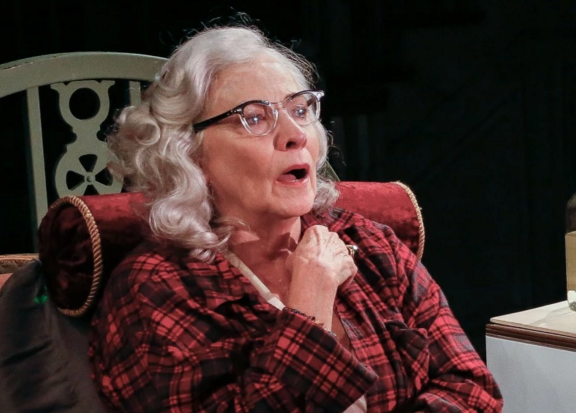 With appearances on The Leftovers, Getting On, Pretty Little Liars, and a recurring role as Suzanne Fitzgerald on the early 2000s hit TV show Oz, Betty Buckley is no stranger to the small screen. This summer, she’ll take on the starring role of Edith Bouvier Beale in Grey Gardens at the Ahmanson Theatre, the sensational and heartbreaking Broadway musical based on the documentary of the same title. So what are you waiting for? No need to pay for cable to see these actors in action – check out these shows and more for your next night out.